The Russian Cultural Gardens is a non-profit 501 (c) (3) organization dedicated to promoting the Russian Heritage and Russian cultural influence in America. 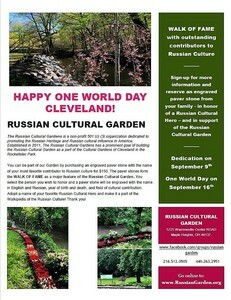 Established in 2011, The Russian Cultural Gardens has a prominent goal of building the Russian Cultural Garden as a part of the Cultural Gardens of Cleveland in the Rockefeller Park. The Russian Cultural Garden is situated on the Western side of Martin Luther King Boulevard, North of Saint Clair Ave., South of I-90, right between MLK and Doan Brook. Beautiful stone bridge over the brook defines the Southern border of our park. Cleveland Cultural Gardens is the unique phenomenon not only in America but also in the world. We celebrated the 100th Anniversary of the Cultural Gardens in 2016! The first cultural garden, a Shakespeare Garden, has begun in 1916. The majority of the gardens were built in the 1920s and 1930s with money and labor from the WPA as well as the local ethnic communities. By 1939, there were 18 gardens. Today, the Cleveland Cultural Gardens include fountains, decorative ironwork, and over 60 sculptures. The 29 different cultural gardens include British, Chinese, Czech, Estonian, Latvian, Armenian, German, Hebrew, Hungarian, Irish, Italian, Polish, and Slovenian gardens, among others. Among the newest gardens there are the Syrian garden, begun in May of 2011, and Albanian garden, begun in 2012. Russian Garden, yet under construction, already started cultural tradition - Grand Piano in the Russian Garden. Two wonderful Grand Piano events featured brilliant, world-knows pianists Arseny Tarasevich-Nikolaev and Stanislav Khristenko. The highest level of piano performance was also shown by Dmitry Tyurin and Nara Avetisyan, syudents of Maestro Sergey Babayan, Cleveland Institute of Music. You may walk through the Gardens, using self-guided tour or you may order a tour via the Federation of the Cleveland Cultural Gardens . To order the Russian-speaking guided tour over the Gardens, please e-mail us at Board@RussianGarden.org. Groups of 5+ people are welcome! Members of the Friends of the Russian Cultural garden Club are entitled for free tour and 2 tickets for any of Russian Garden's events. Membership is $25/ year. You may pay via http://www.gofundme.com/russianculturalgarden or at any event. You may also apply for membership right here on this page. Thank you for your support! WHEN: Sunday, September 9, 2018, starting at 3:00 pm. WHAT TO DO: Celebrate the dedication of the Russian Cultural Garden, the newest addition to the family of the Cultural Gardens of Cleveland. WHY COME: Feel pride and have fun! Please, come and bring your kids, family and friends. September 9 is the birthday of Leo Tolstoy - beautiful day to dedicate a new Russian Garden! We will celebrate in the War and Peace style. Come in wearing your ball gowns, dress up your princesses and princes, get ready to eat in style, dance in style, celebrate in style. 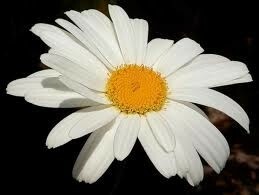 WHAT TO BRING: great expectations, fine dresses, laugh and smile! Flowers, food, beverages will be provided. p.s. Russian Cultural Gardens is 501 (c) (3) tax exempt organization. Or you can simply click on the form below and make your donation on-line. Thank you! You may show your support by joining the team of our talented, enthusiastic, wonderful volunteers or by making any donation to the Russian Cultural Garden non-profit organization. You can now support the Russian Cultural Garden by simply shopping at AmazonSmile! Join The Friends And Supporters Of The Russian Cultural Garden - Become a Member of The Russian Cultural Garden Club! Get information on the concerts, fundraisings, cultural events benefiting the Russian Cultural Garden. Get membership discounts on the tickets. Get membership discounts on goods and services provided by the corporate members of the Russian Cultural Gardens Club. Become a part of the history by helping to build the first Russian Cultural Garden in the world! Family membership fee - $25/year. Or you may mail us a check or Money Order along with your name, phone number, e-mail address, mailing address and information on how you want to help the Garden. If you want to help, please just click on DONATE button below and make your contribution. Let's prove it together that Russian community is capable of combining our talent, enthusiasm, knowledge, organizational skills, and funds to create the Cultural Garden in honor of the outstanding Russian culture! You may support us by joining the Russian Cultural Garden Club. All membership fees will help to reach this goal. Your donations of any size are greatly appreciated! The Russian Garden's site is located on the West side of Martin Luther King Jr. Dr., South of I-90, North of St. Clair Ave. , right across the street from Armenian Cultural Garden. Parking is permitted along the MLK Drive. 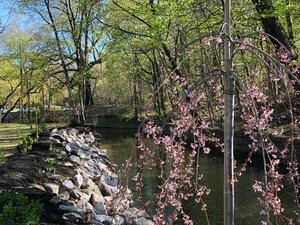 Additional parking is avalilable at the Rockefeller Prk Greenhouse, which is across the street from the Russian Garden. Thank you for being such a good friend of the Russian Cultural Garden! Big thanks to our sponsors and to all the families and individuals who volunteer in support of the Russian Cultural Garden and Cultural Gardens of Cleveland!